Offer expires May 06, 2013 11:59pm (EDT). Please call 1-800-852-4216 for complete details. 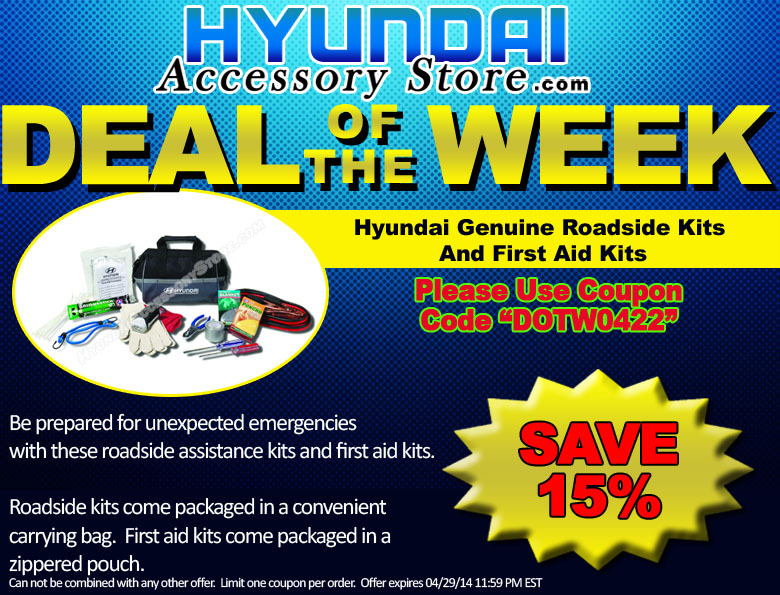 This entry was posted in Hyundai, Hyundai Accessory Store on April 29, 2014 by hasblog. Roadside kits come packaged in a convenient carrying bag. First aid kits come packaged in a zippered pouch. Offer expires April 29, 2013 11:59pm (EDT). Please call 1-800-852-4216 for complete details. 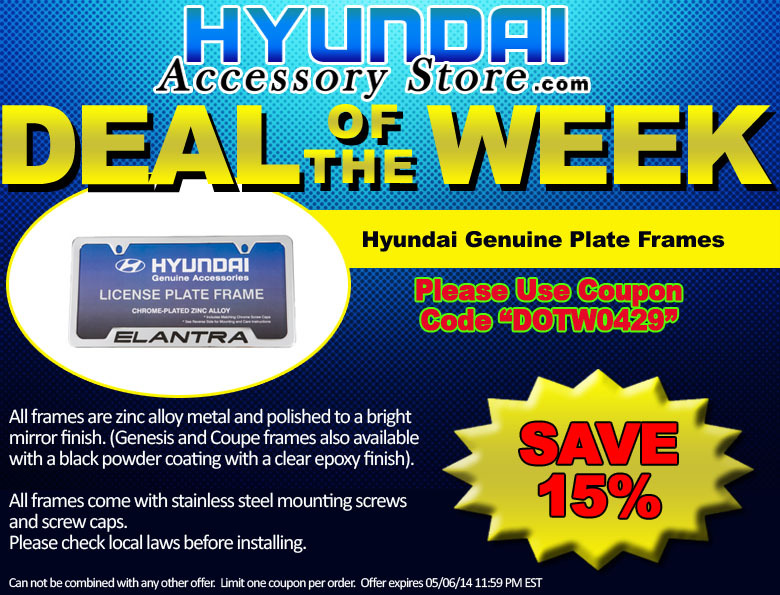 This entry was posted in Hyundai, Hyundai Accessory Store on April 22, 2014 by hasblog. 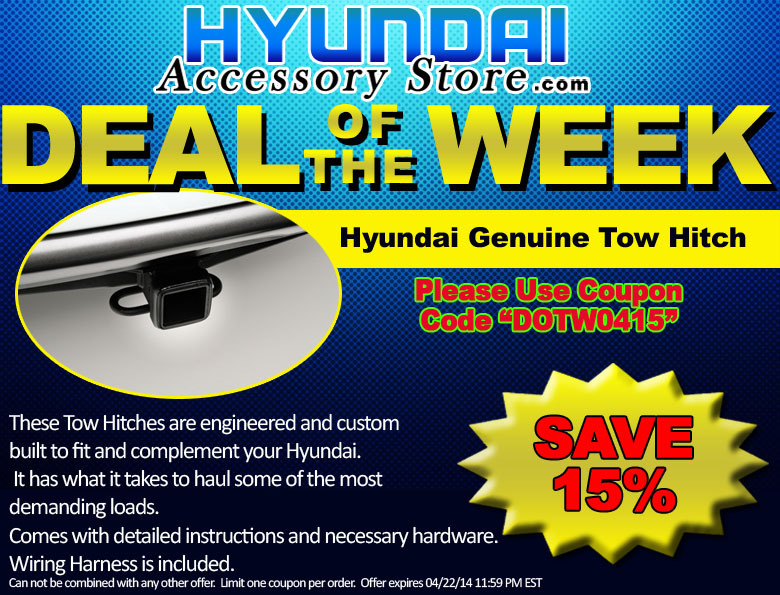 These Tow Hitches are engineered and custom built to fit and complement your Hyundai. It has what it takes to haul some of the most demanding loads. Comes with detailed instructions and necessary hardware. Offer expires April 22, 2013 11:59pm (EDT). Please call 1-800-852-4216 for complete details. 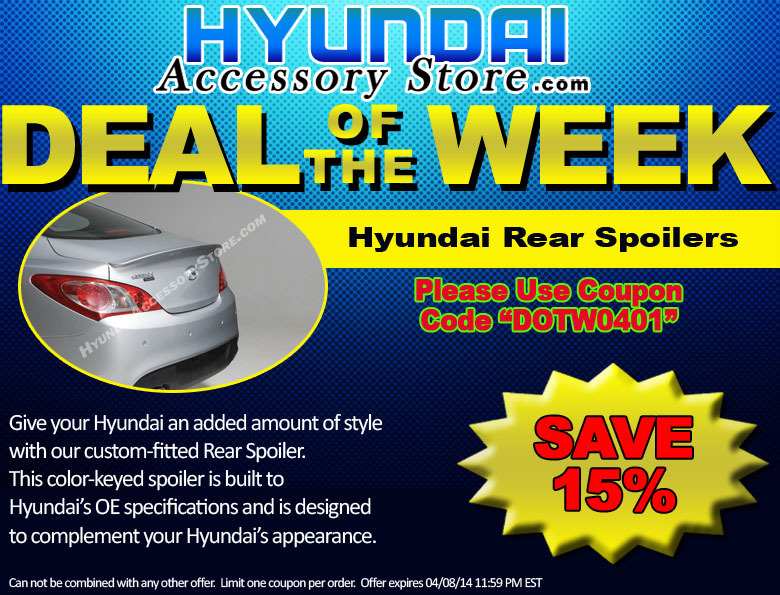 This entry was posted in Hyundai, Hyundai Accessory Store on April 15, 2014 by hasblog. activity with our highly versatile Roof Rack Kit. Offer expires April 15, 2013 11:59pm (EDT). Please call 1-800-852-4216 for complete details. This entry was posted in Hyundai, Hyundai Accessory Store on April 8, 2014 by hasblog. Give your Hyundai an added amount of style with our custom-fitted Rear Spoiler. 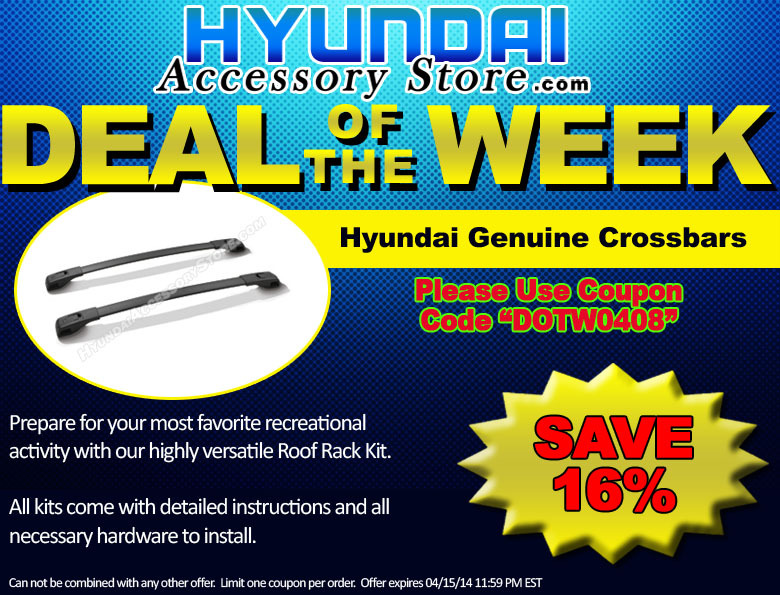 to complement your Hyundai’s appearance. Offer expires April 08, 2013 11:59pm (EDT). Please call 1-800-852-4216 for complete details. This entry was posted in Hyundai, Hyundai Accessory Store on April 1, 2014 by hasblog.